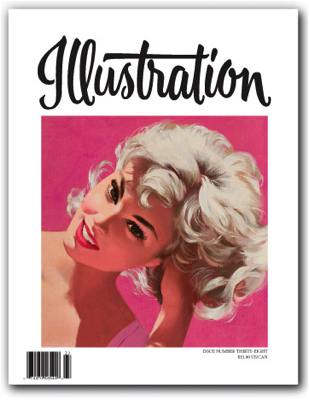 In this issue: The art of Jon Whitcomb, one of the legendary founders of the Famous Artists School and the Cooper Studio. Next up we feature Sheilah Beckett, one of the first female illustrators ever hired by the Cooper Studio. Our final feature is on Wesley Snyder, a magazine illustrator known for his work for the Saturday Evening Post and many other magazines in the 1950s. Book reviews, exhibitions and events, and more round out this issue. 80 pages in full color. $15.00 U.S.